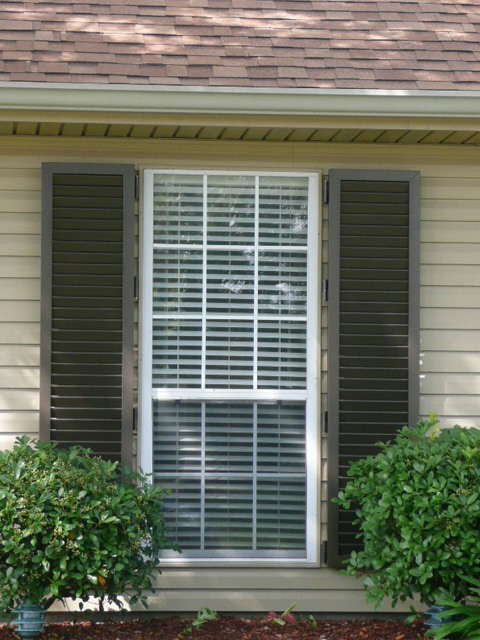 Nu Code Shutters’ Aluminum Louvered Shutters provide an elegant alternative to the storm and security protection of any home or building. 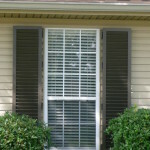 These shutters which are often referred to as “Plantation Shutters” give a home the traditional look, while providing excellent protection during tropical activity. 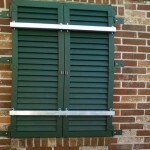 Our Aluminum Louvered Shutters are available in a variety of powder coat finishes. 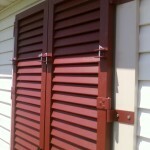 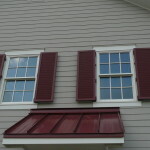 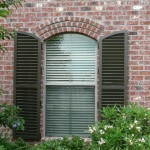 These shutters are available in any standard size or may be custom built to accent arched openings. 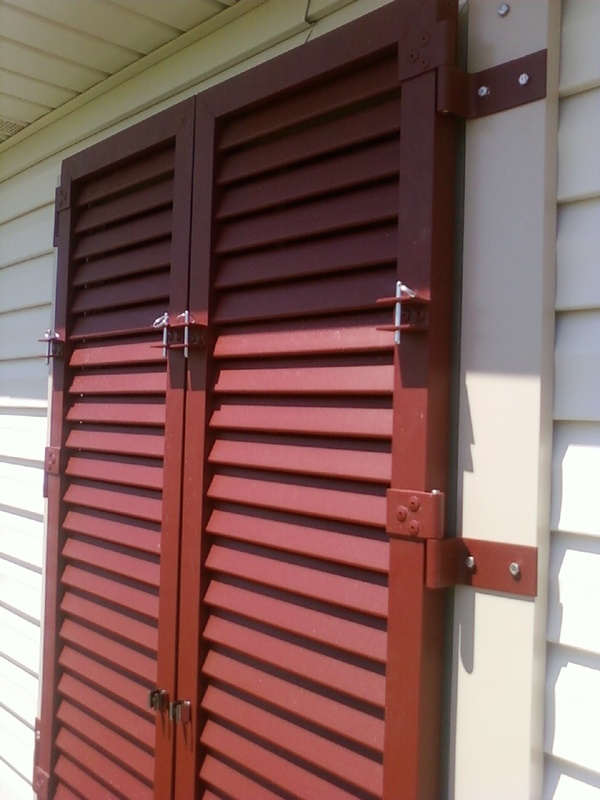 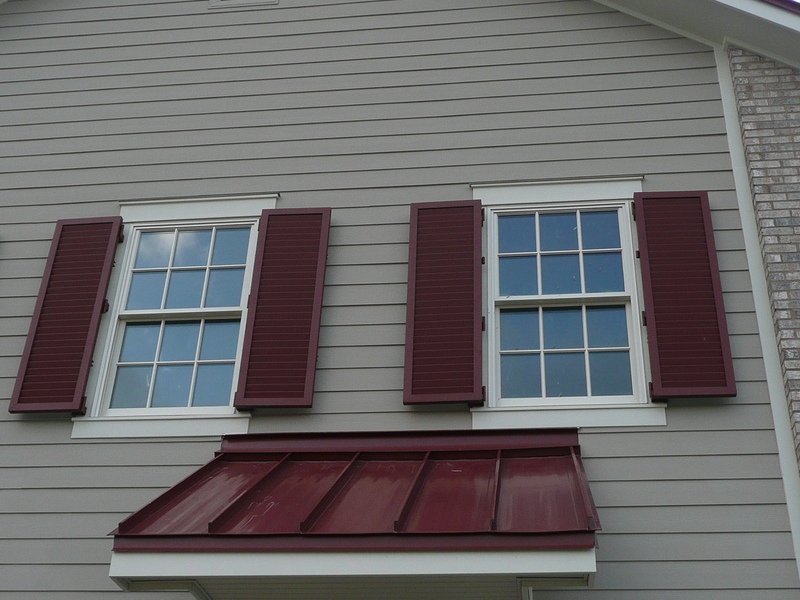 Constructed of all extruded aluminum, these Louvered Colonial-Style Shutters are available in a Non-Rated version (with Z-Blades or Oval Blades) or a Hurricane Rated version (with Oval Blades). 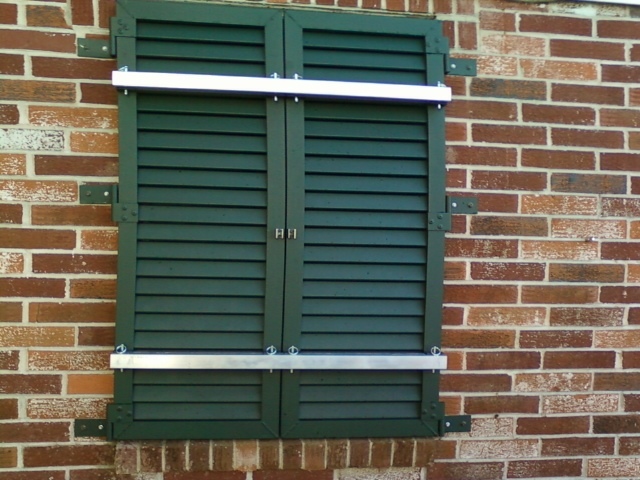 All of our shutters are easy to operate and they close easily and securely with aluminum flutter bars or aluminum lock bars which are provided. 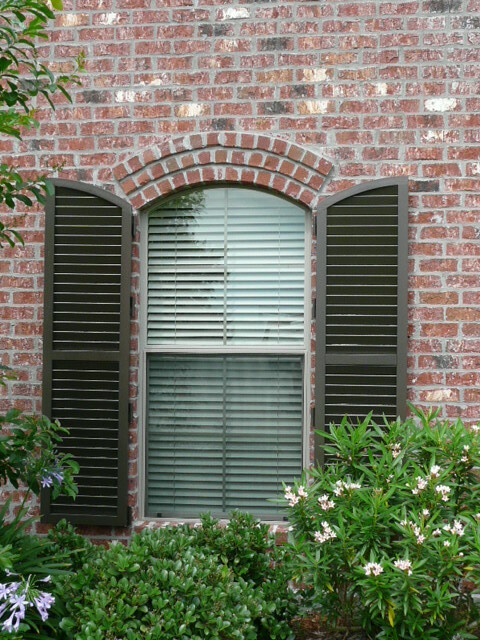 Louvered Style Shutters are an excellent alternative to storm protection or decorative shutters, without compromising on beauty.